With the fitness craze that’s been going for, oh, decades, many of us are motivated to take a fitness class to get rid of those love handles, build up a “six pack” or just get more energy. But if you came upon a class in “art fitness,” what kind of muscles would you exercise or what would you get out of it? 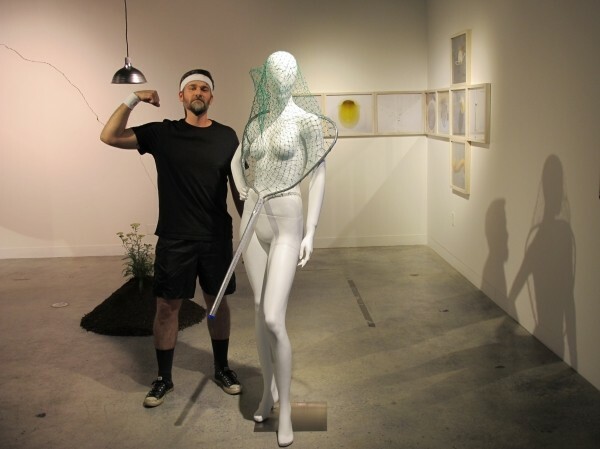 What does fitness have to do with art? Many of us don’t feel fit to look at art—especially modern art—with any degree of understanding, or even know how to tell if we like it or not. “People feel a high degree of anxiety looking at modern art,” explains Adam Price, executive director of the Utah Museum of Contemporary Art (UMOCA, formerly the Salt Lake Art Center). “One of our goals is to make people feel more empowered, that they already have all the tools they need to understand it.” He cites a report from the American Association of Museums that says viewers spend, on average, seven seconds looking at a work of art, then about 20 seconds reading the label or looking for other information to help them know what to think about the work. The program gets everyone from novices to longtime museum-goers to have a fresh view by asking them to discard any “art fat”—that is to say, getting rid of preconceptions about the work of art, not looking at labels or worrying about who the artist is, and starting with just a concrete physical description of what they see. “It’s very powerful, joyful in discovering you can interact with a work of art in that way,” Price says, adding that students will benefit from Steffensen’s teaching style, as he guides them by asking questions. The class is framed by three questions in particular: What do you see in front of you? How would it be different if certain changes were made? And what does that tell us about what it is? In a lighthearted attempt to make students feel more comfortable, instructors and Price attend the sessions dressed in athletic workout attire. Students can do the same, but are advised to abide by the usual rules, including not touching the works of art. The class is taught over three Saturday afternoons and isn’t confined to the UMOCA. The courses in January and February began at UMOCA, then ventured to the Utah Museum of Fine Arts at the University of Utah, and concluded by looking at art in private collections in people’s homes. Part of the course seemed to show that art can “live and breathe” in different settings and helped students become comfortable seeing the artworks in different contexts, even meeting some residents who chose the works of art to make a part of their everyday lives. Although just looking at the work of art itself was stressed, after the basic physical qualities of the works are discussed, some wider issues entered into the mix, since art doesn’t exist in a vacuum. But the course is designed to give students a comfortable entry point into relating to a work of art on the sensory level before those issues enter the discussion. For example, a triptych of Andy Warhol prints depicting Queen Elizabeth II at the local Ukrainian consulate might have had a weighty amount of cultural baggage, but the Art Fitness discussion helped deconstruct that. Or perhaps “deconstruct” isn’t the right word—rather, the classes helped students construct a cultural understanding starting with a reaction that’s grounded in what a viewer sees with his or her own two eyes. Participants who complete the course receive a certificate from the UMOCA—and, Price jokes, an Art Fitness pencil to complete a comment card.